There are some people who believe that they can only get the needed Mitsubishi car key replacement from a nearby car dealership. This is just one of the options available but it is not very ideal at times. For example, if you lose your keys while you are out in public, you need to bring your whole vehicle to the dealership. This will cost money. You need to hire a tow truck to do this. It can definitely provide Mitsubishi car key replacement. It is one option but there are other options available. It might be more complicated if you need Mitsubishi key FOB programming. Some dealerships do not have the right codes that can be used. We make sure to offer the best prices not only for Mitsubishi car key replacement but also for Mitsubishi key FOB programming. 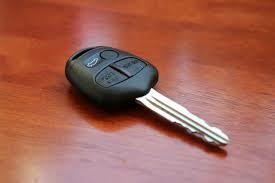 We also offer other automotive car key services. You can just contact us about it. We are available 24/7. There are a lot of people who are familiar with Mitsubishi. It is one of the most popular car brands in the world. You will come across some people who drive a Mitsubishi or you drive a Mitsubishi. It helps to be ready if in case you require a Mitsubishi key replacement at the soonest possible time. You will have no issues if ever as we offer a replacement for different Mitsubishi models such as Mitsubishi Galant, Outlander, Lancer, Eclipse, and Mitsubishi Mirage G4. If in case your Mitsubishi car model is not mentioned above, do not hesitate to call us. We will be more than willing to provide the details you are searching for. We may offer Mitsubishi key replacement for your car model. All you have to do is to contact us and talk to our customer service agent. We know how inconvenient it is when you get stranded in the middle of nowhere. Just contact us and we will make sure to be where you are in a short amount of time. Car Key Replacement Cost -Is it Expensive? You want to get Mitsubishi car key replacement that you can afford. If you go to a car dealership, expect to pay about $400 or more just to get your car key replacement. With us, you will get your replacement key for a lot less. We can give a quotation over the phone but we need proper details from you. There are different Mitsubishi car key models. These cars all require different types of keys. Older Mitsubishi car models normally require the usual car keys. As the Mitsubishi model becomes newer, the car keys also become newer. Take note that the fee for Mitsubishi key FOB programming is a bit different. It may be a bit different from the usual Mitsubishi car key replacement. You can let us know ahead of time what services you need. Our team of professional locksmiths will let you know the exact rate when they get to your location. Will Car Replacement Take Long? There are a lot of people who are always rushing. There is a big chance that you need to have a lot of time doing other things. We will try our best to provide the Mitsubishi car key replacement in a short amount of time. A lot of the car keys can be replaced in about 10 minutes. At the longest, it will take about 30 minutes. If you have traditional or old car keys, expect that the replacement will be very efficient. You can get the car keys that you need in a short amount of time. 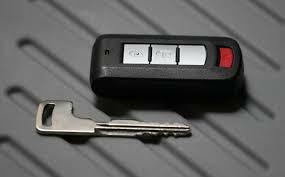 For new keys, it will take longer especially if your key requires Mitsubishi key FOB programming. Take note that the more services you need, the harder it will be. Take note that if you need transponder key for your vehicle, your key will need to be reprogrammed so it will be used for your vehicle. This will take about 10 – 30 minutes long too. If your car key will not be programmed, this might stop your car keys from working properly. Should Your Ignition be Replaced? There are a lot of people who are aware that the ignition of a vehicle is always important. What if it is not the lock of your car that is the problem but your ignition? Sometimes, enough damage was done to your key that it has already affected your ignition. You want to make sure that this problem is solved soon. Let us know immediately if you need ignition replacement for your car. You can also let our competent team of professional locksmiths check your ignition properly. The automotive locksmith will check your ignition. Usually, the ignition switch and sometimes, ignition cylinder will be checked to see if there are some things wrong. We would like to let you know that the process of replacing your ignition may take longer than Mitsubishi key FOB programming. It will take a lot longer than Mitsubishi car key replacement for sure. It will depend on the damage that your ignition has experienced. FOB Replacement – Do We Offer It? We do offer FOB programming for your Mitsubishi keys. This is actually our specialty. Our team will make sure to provide the programming that your car key needs so that you can start using it again. We will do our best to program your car keys at the soonest possible time. Our professional locksmiths do not want to keep you waiting. The professional locksmiths are proud to say that they are adept at doing Mitsubishi key FOB programming along with Mitsubishi car key replacement. You can let us know if you would choose to add some things your vehicle so that it will work with your key. We can definitely make a Mitsubishi car key replacement if you believe that this is the best option for you. Just make sure that you will provide us with details that will prove ownership of your vehicle.